Behold, the instigator. 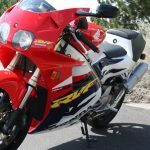 The first volley in the sport bike wars that consumed the 1990s, culminating in the insane, brightly-colored crotch rockets of the latter half of the decade and the early-aughts. 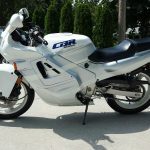 Before there was fuel injection, USD forks, radial brakes and Power Commanders, there was the original CBR600. 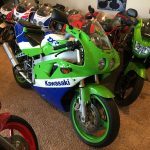 The bike hit the United States market like a Howitzer in 1987, carrying then-unheard of full fairings, a steel box-section perimeter frame and a 90-horse, 600cc inline four that had about 450 pounds to push around with a full tank of fuel. Next to the tube-frame behemoths of the early part of the '80s, these things were space ships. 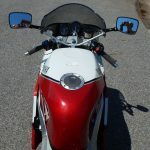 Compared to any modern bike, it will feel like a Bronze Age ox cart, with traditional telescoping forks, tiny non-ABS brakes and throttle response that only four carburetors can deliver. But you cannot argue with the model's blue-chip pedigree, its importance, and the fact that 90 horses in 450 lbs makes a very fast ox cart. 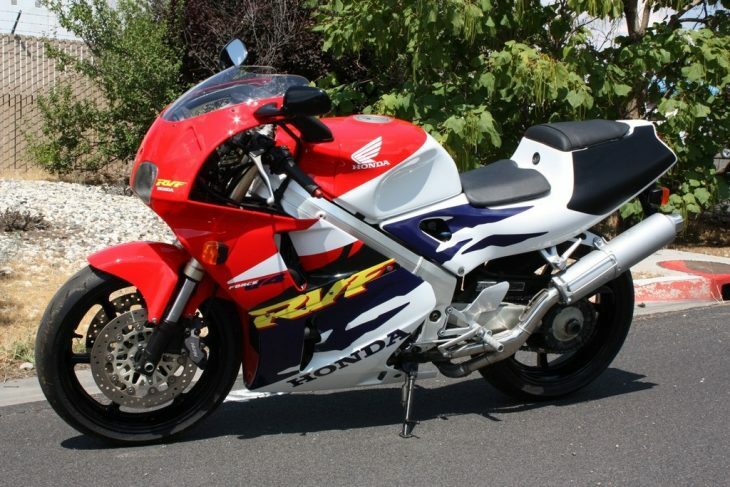 This 1989 one is an honest, clean, low-mileage example that has obviously been very well looked after. 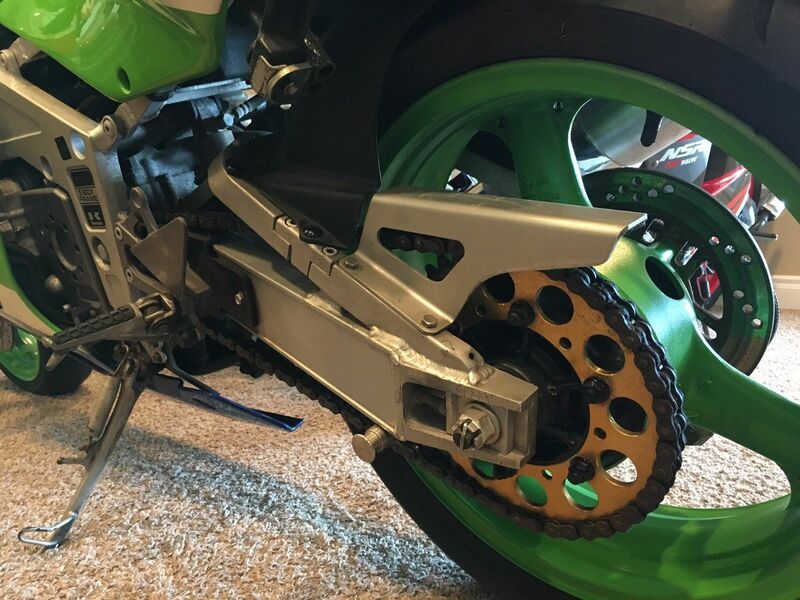 The tires and chain look next to new and the sprocket looks very serviceable. 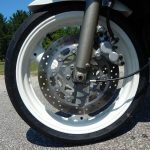 The bodywork and paint are impeccable compared to the usual fare on these bikes, which were made in vast numbers, and more often than not were thrashed. 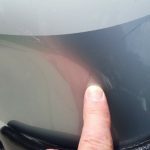 There is a belt buckle scratch on the back of the tank and some light pitting on cast aluminum parts, but that about does it for cosmetic issues. 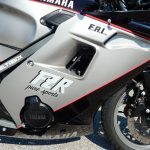 The bike has a very tasteful and period-looking Yoshimura can. 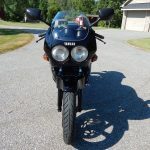 I bought this bike a few years back from an Upstate NY dealer. I thought I would use it...but I really haven't that much. 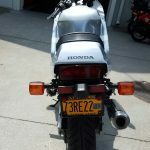 I had the carbs cleaned by the local Honda dealer last year. Starts every time and no leaks. 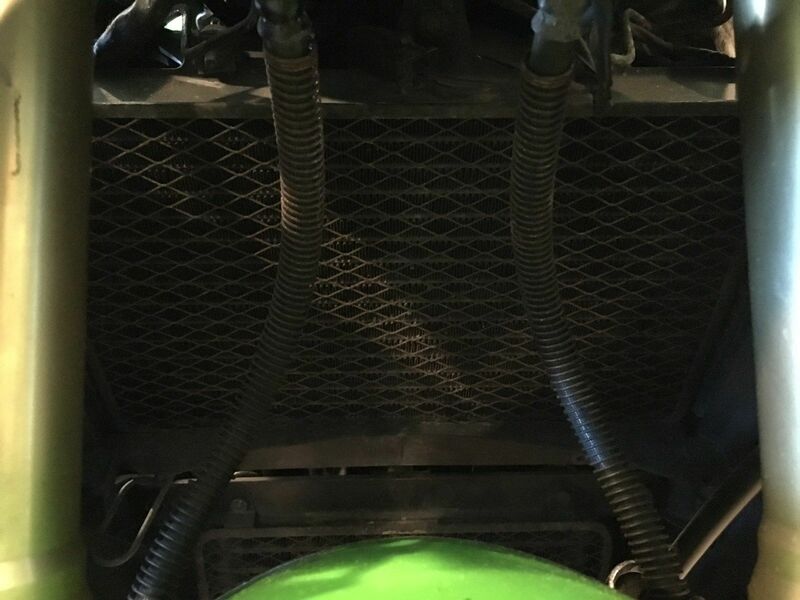 The tires are like new and has a yellow battery with tender leads. 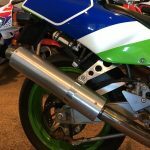 Runs like a champ and growls with the Yoshi pipe. 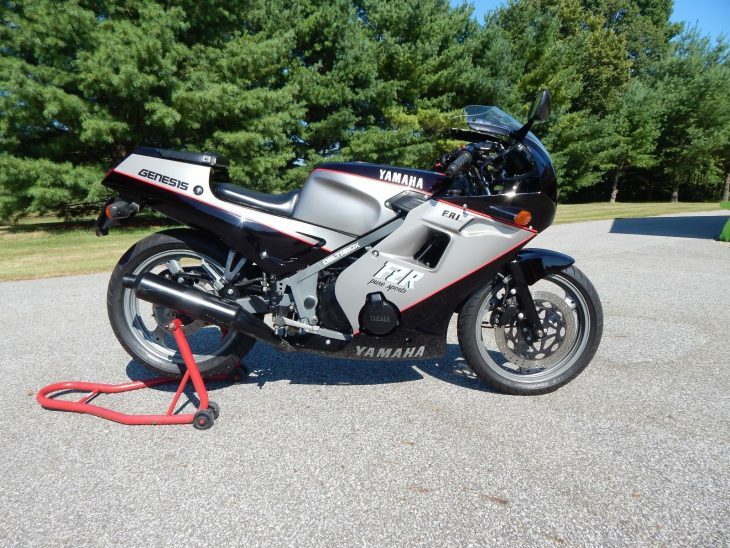 Overall, I would consider it in very good to excellent condition...considering her age. 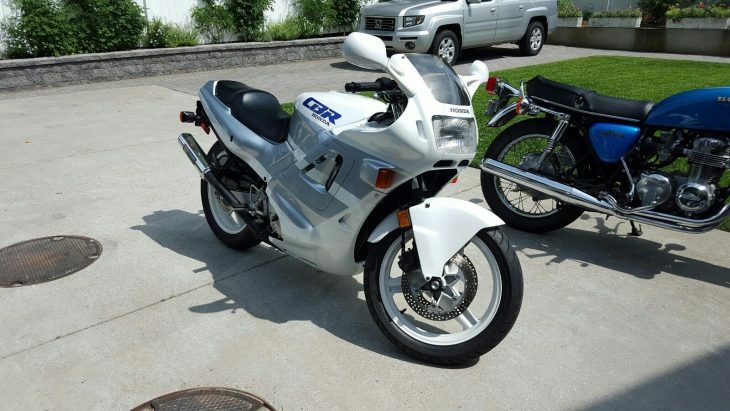 Fun bike to ride and pretty rare. Time for me to say goodbye and make room. 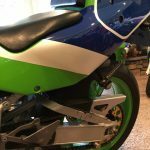 Get a FIRM shipping quote before bidding. Nobody likes to come to LONG ISLAND. 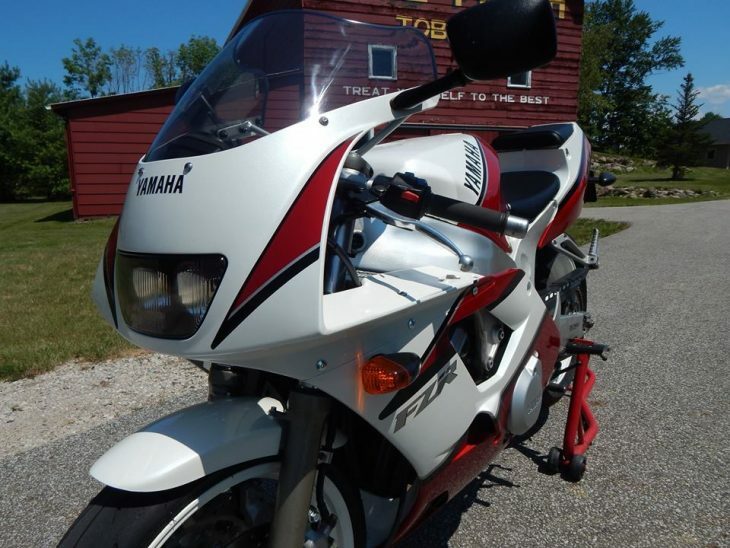 With three days left, the bidding is at a quaint $1,500, and the bike is offered without reserve. 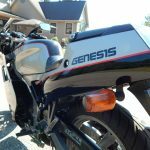 It's not rare, or grey market, or crazy fast, but it is an important bike, and has just turned the corner to true classic status. 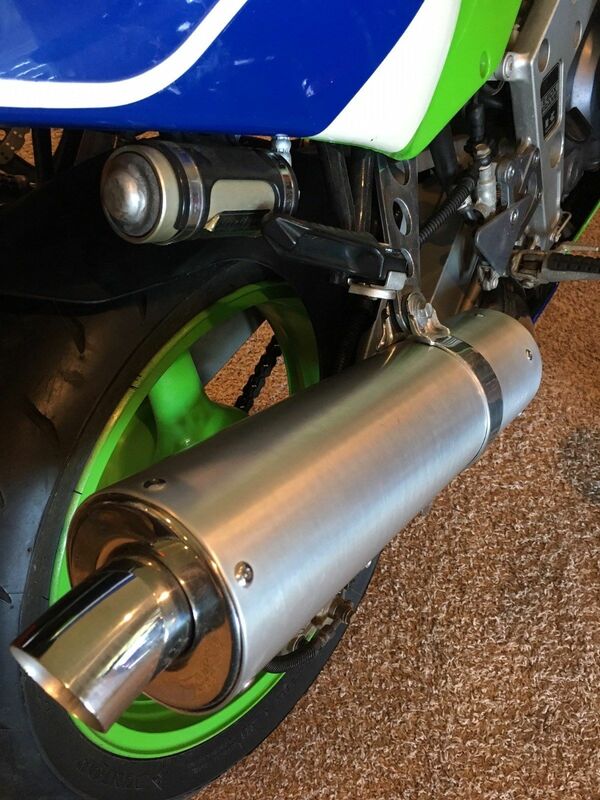 It makes no excuses and will be an awesome addition to any garage. 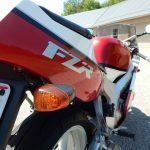 Yet another Japanese micro rocket from our friends at Deftone Cycles, this quarter-liter 1986 Yamaha FZR250 represents the smallest offering in the FZR line, and was a grey-market import everywhere except Japan. 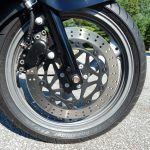 Though it sits on tiny tires and rocks a single-disc front brake to match, do not make the mistake of under estimating this bike. 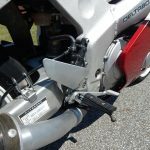 The inline-four spins its tiny pistons to a dizzying 18,000 rpm, pushing out a very impressive 45 horsepower along the way. 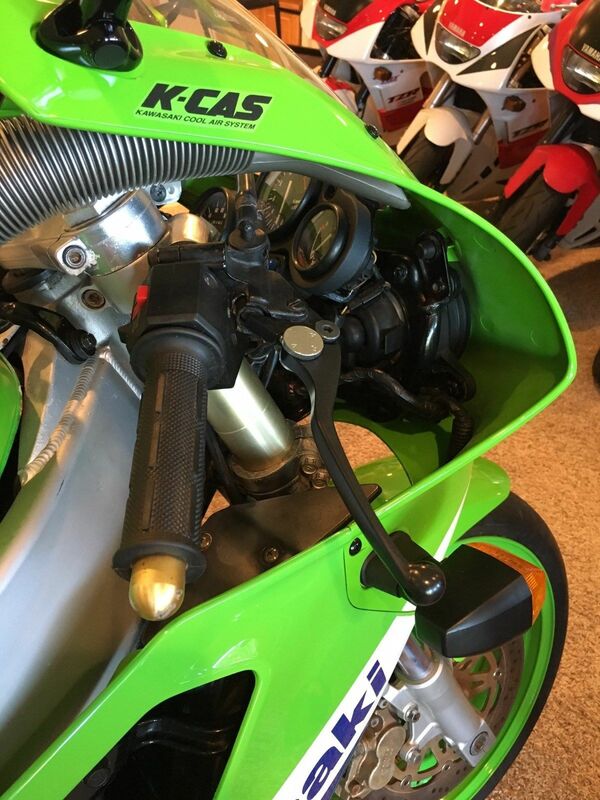 Sure, that may not sound like much, but on a bike this light with tires that skinny, you will have your hands full. 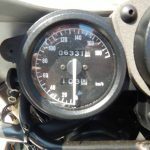 Save your momentum, learn to brake late and light, and see who you can surprise. 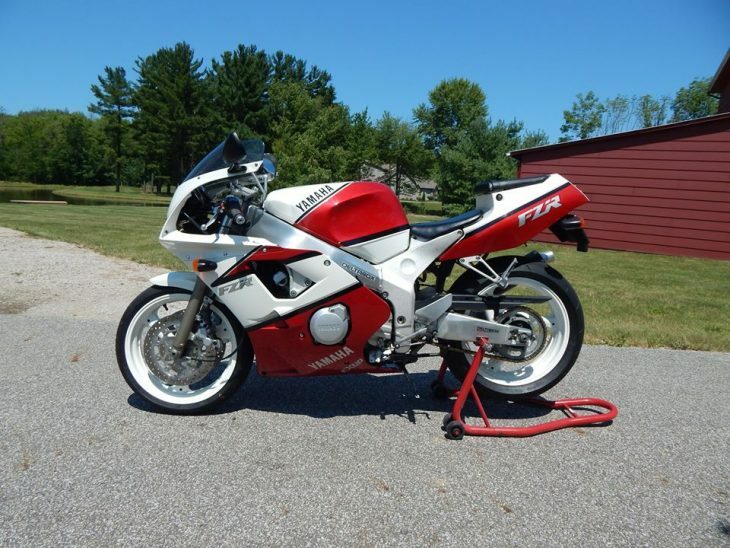 This FZR250 comes from the first year of the model's production run and looks like it is in pristine shape. 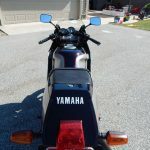 There appears to be a small scratch on the left-side fairing, some crazing on the jet-black exhaust and a tiny tear on the pillion seat, but beyond that this thing shines. 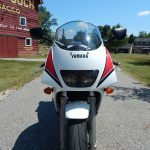 1986 Yamaha FZR250 FZR 250. 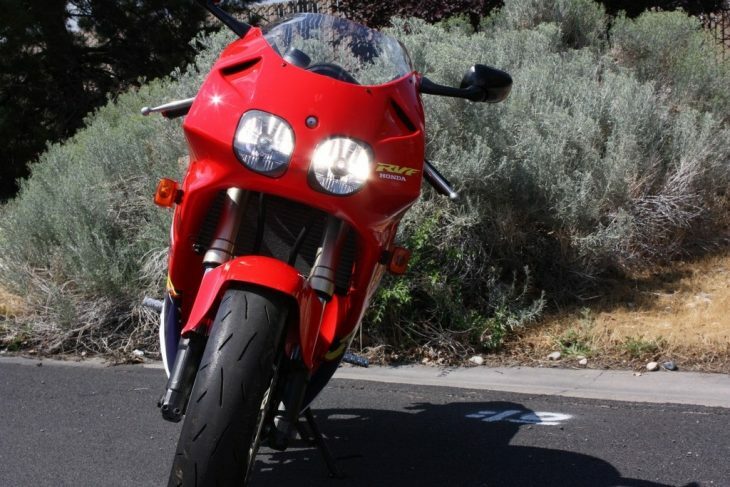 11,052 Miles (17,787 Kilometers) 250cc four-cylinder that redlines at 17,000 rpm and manages 45hp. 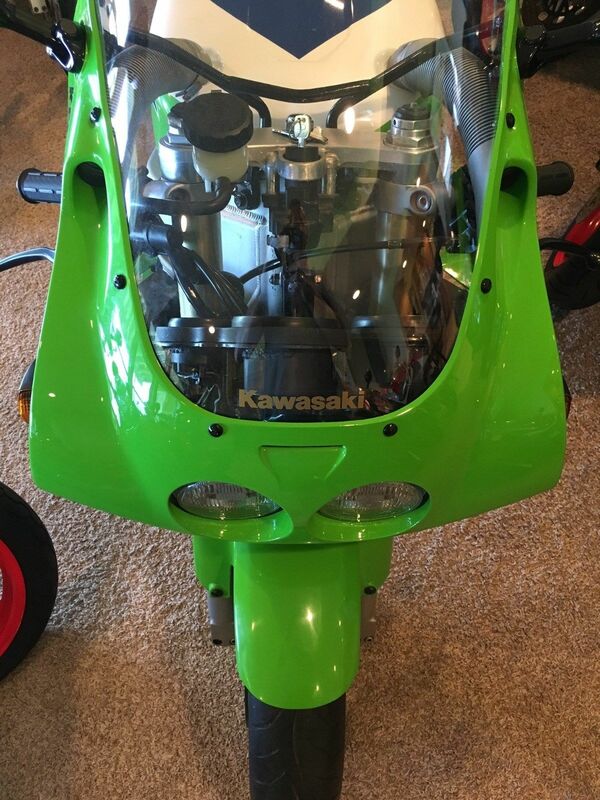 Very original OEM equipped bike. 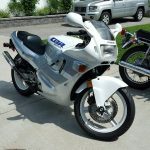 This particular bike is one from my personal collection. I purchased it here in the states from another importer. Since then I have given it a lot of love and attention. 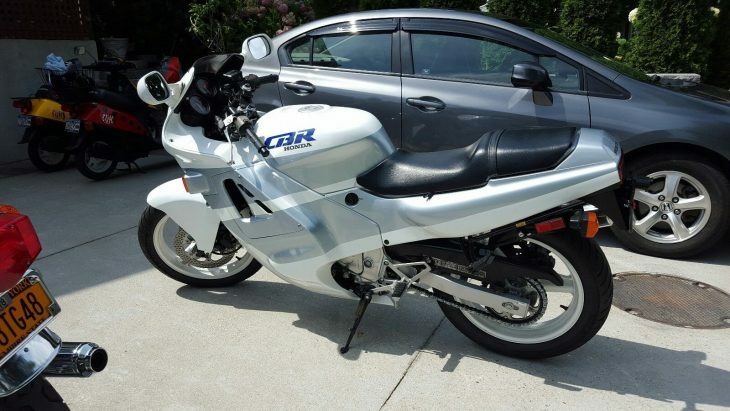 This JDM is a great entry-level bike that will give you no issues. All fluids are fresh. 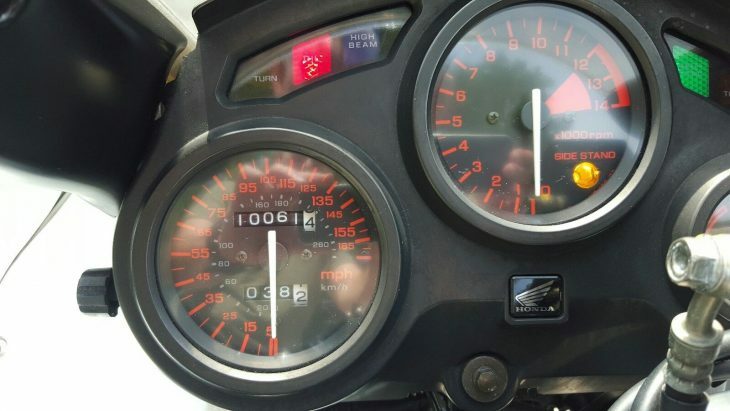 Shifts and revs to redline perfectly. Starts effortlessly every time. 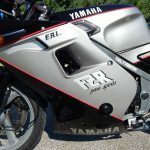 Fairings are OEM with original paint/decals. 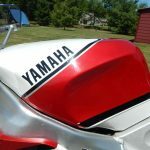 Winds screen is aftermarket. 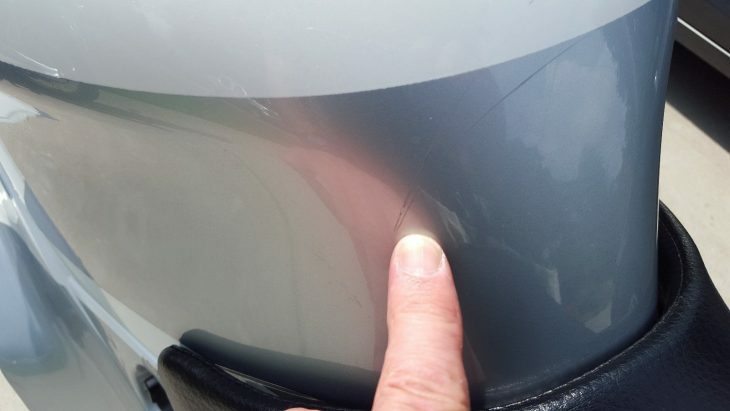 Small tear on corner of pillion seat. 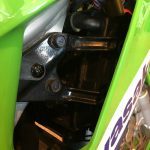 Upper front forks have some pitting, mainly between the tree?s so it Does not interfere with fork seals. Only selling because I am down sizing. 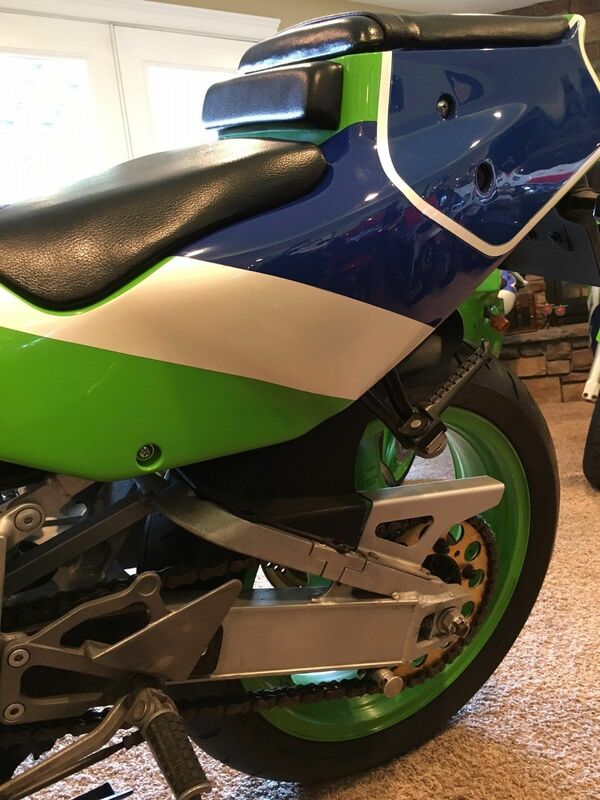 Bike has Vin Matching State of Ohio Title. 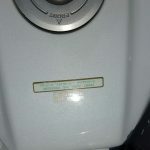 VIN: 2KR140*** ?Buyer is responsible for their own State Requirements.? Sold as is. Buyer responsible for shipping. Thanks for looking. Please email any questions. 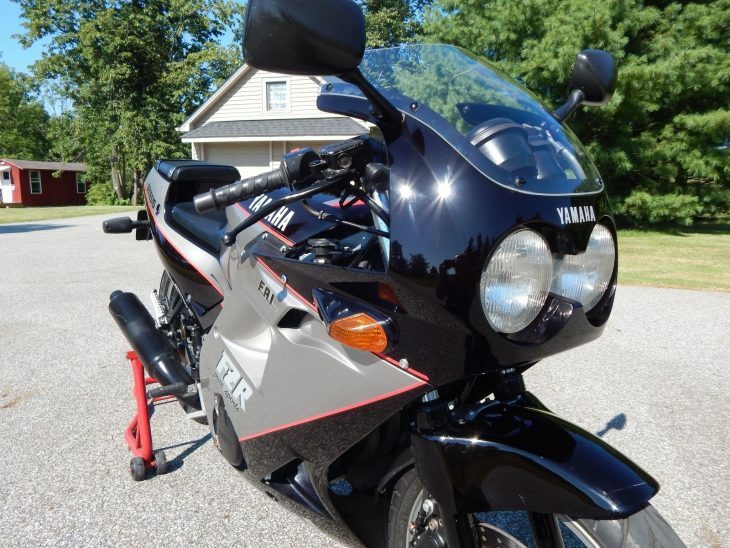 Just over a day left on the listing, which is set at $4,600 Buy-It-Now, or best offer. Hurry before this one is gone! 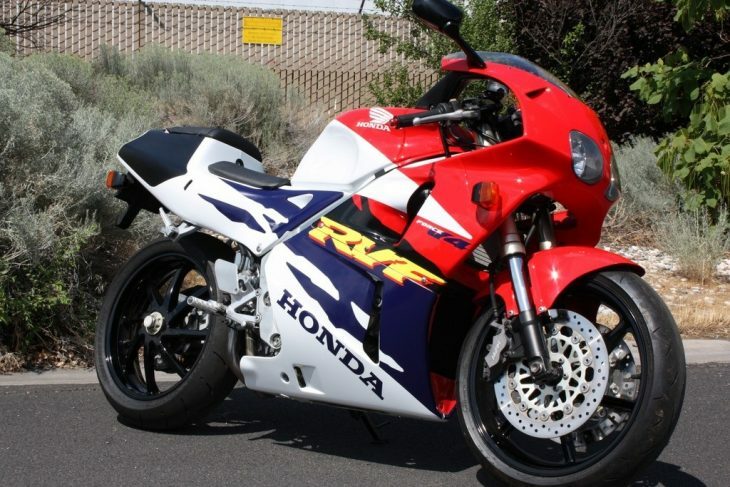 This 1996 Honda RVF400R from featured seller Glenn is from the model's last year of production, and wears a distinctly '90s livery on fairings that are just slightly sharper than its predecessor, the VFR400R. 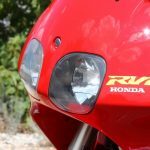 The RVF also got upside-down forks and CBR900RR-aping foxeye headlights when it debuted in '94. 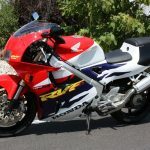 Sold new only in Japan, the RVF was a wholly-updated machine that was praised at the time for sharp handling and flickability, a common thread among sports 400s. 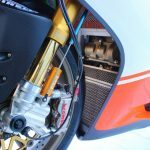 Aside from the updated forks, Honda changed frame geometry, the engine mounting position, added a slightly narrower single-sided swingarm and upgraded the new bike to a 17-inch rear wheel to aid turn-in, a change which will also make finding modern tires a non-issue. 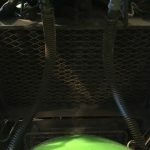 Between the frame rails sat an engine with re-thought carburetors and new valve timing. 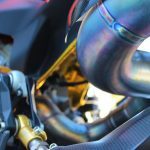 As with every 400cc sportbike out there, the engine doesn't shine until it's really spinning, eventually spitting out just shy of 60 horses at 13,500 rpm. 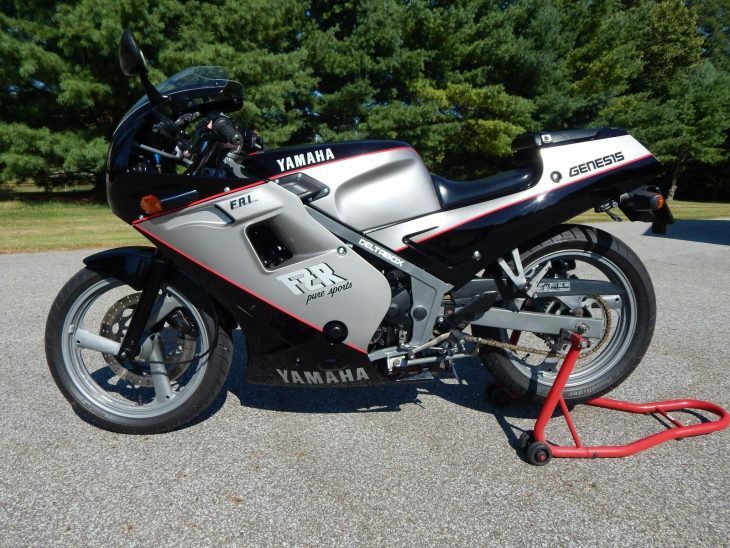 The bike featured here looks clean enough to eat off of, but the seller notes a few spots of touch-up paint and a replacement decal or two. 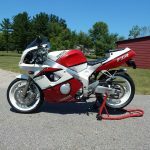 Mechanically, this RVF is pretty close to sorted, with freshly-cleaned carbs and fluids flushed. 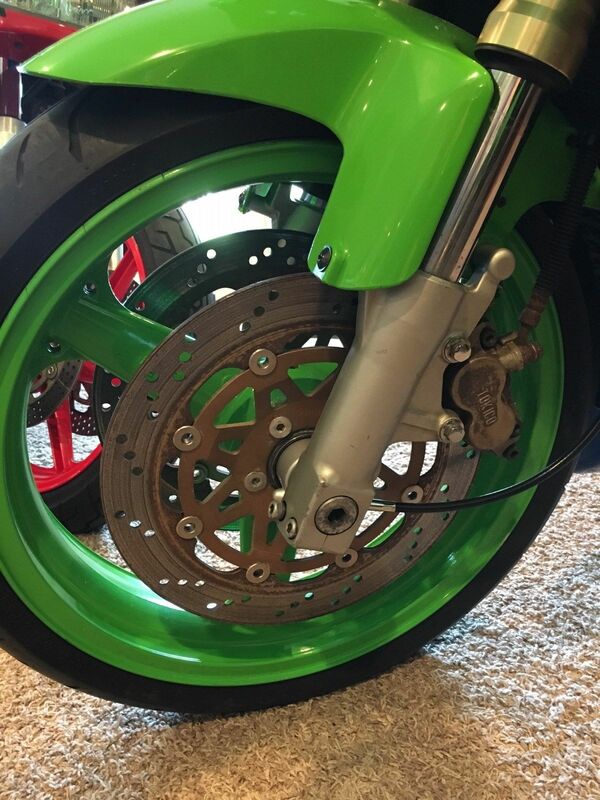 The chain and sprockets are tired, according to the seller, and the tires look OK, but are a few years old. e will sell to high bid. 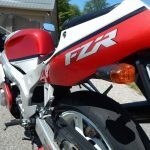 I do reserve the right to end auction early for local sale! 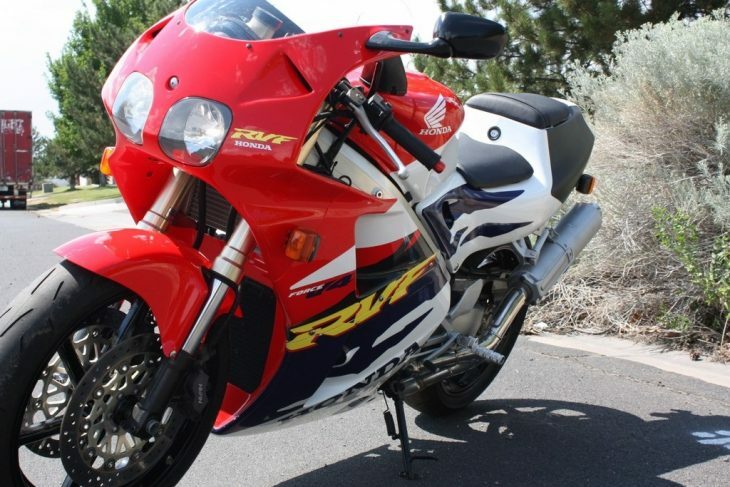 1996 Honda RVF400 NC35, the bike has a clean and clear Arizona title with current registration. 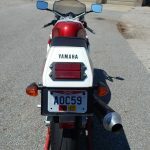 It has original Japanese 11 digit VIN, so no California registration but ok elsewhere. 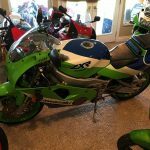 Bike is currently located in So Cal, but can be available for pickup/delivery in Phoenix area if needed. 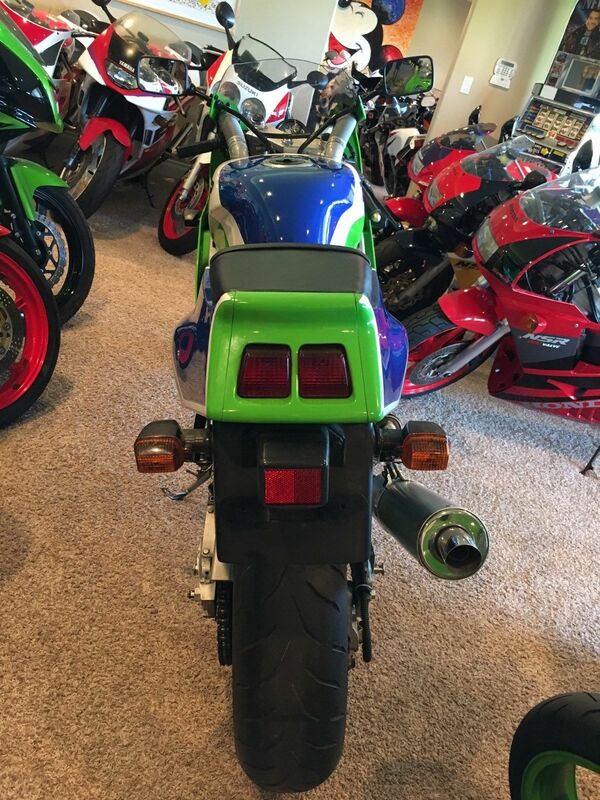 the classic 90's Honda's. 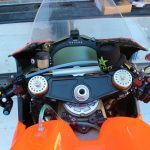 360 degree crank, gear driven cams, V4, single sided swingarm. Only sold in Japan. 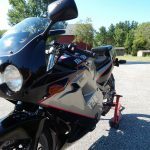 just recently did a complete service on it, oil change, coolant flush and fill, fresh synthetic DOT4 front and rear brake fluid and completely tore the carbs down and did a thorough cleaning. more, just email or call me. 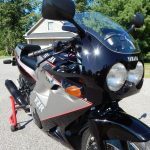 Runs great, low miles, nice fueling and handles beautiful, great brakes. Everything works as it should, all lighting, switchgear etc etc. 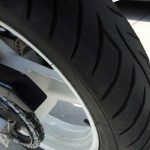 Tires are a few years old but decent, chain and sprocket should be replaced, other than that it just had a full service so really needs nothing. 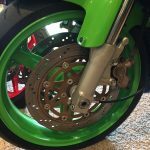 There is a lot of info online about the NC30 and 35, parts are pretty easy to source and plentiful, great aftermarket options from Tyga and others. 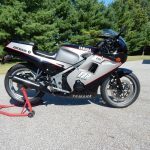 This bike will make a great rider, lots of fun at trackdays and is quite collectible, not many around, Honda made few of them compared to the NC30 and not a lot of nice survivors today. 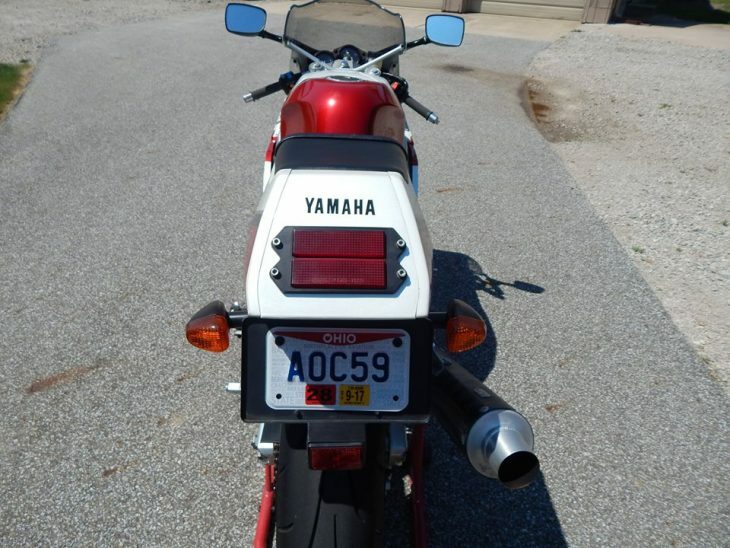 Don't miss this chance to get a nice titled NC35!! 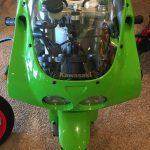 Please email or call with any questions, please check out all the pictures and I will try to add a video of bike starting and running later this week!! 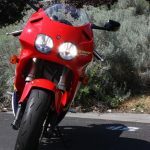 The bike is registered and tagged in Arizona, and the seller says the paperwork will transfer to anywhere except California. 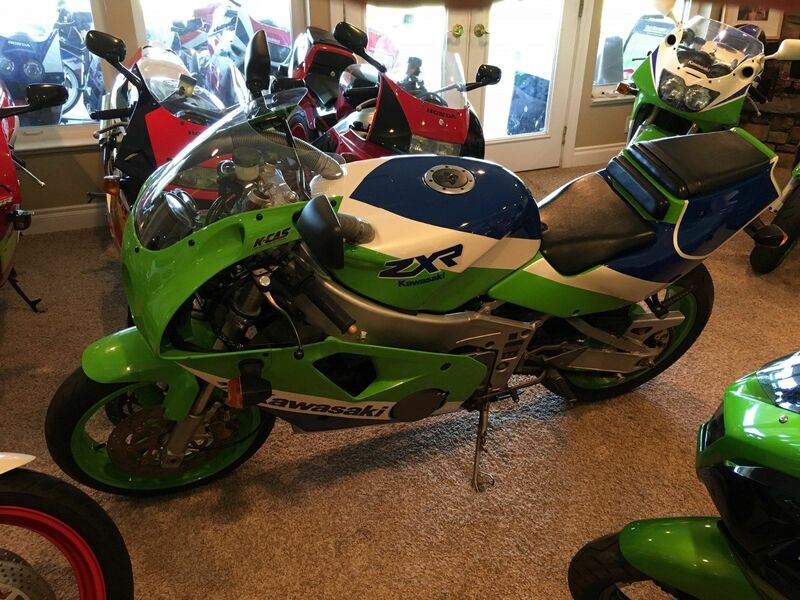 The bike is listed with no reserve, and bidding sits at $4,050 with five days left. 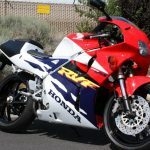 If you've always had the hots for an RC45 but you have a working stiff's budget, let this shining example of its baby brother scratch that itch! 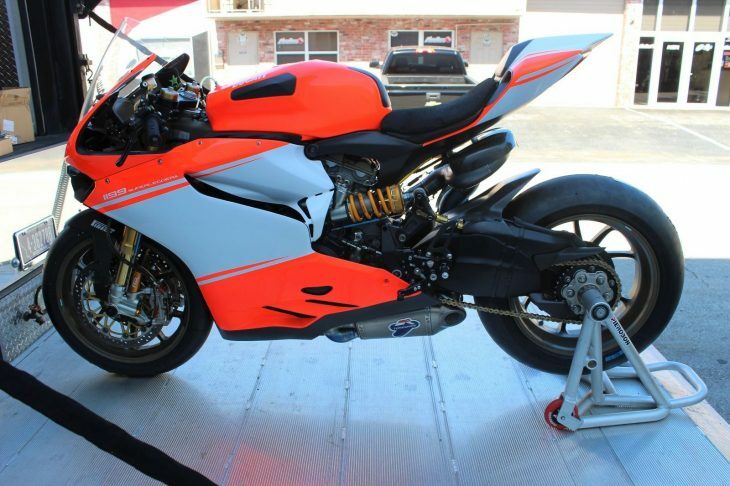 Featured listing: 2014 Ducati Superleggera in WSBK Spec! What we have here is the result of a massive checkbook and exclusive access to trick go bits, fueling a habit forming need for speed! 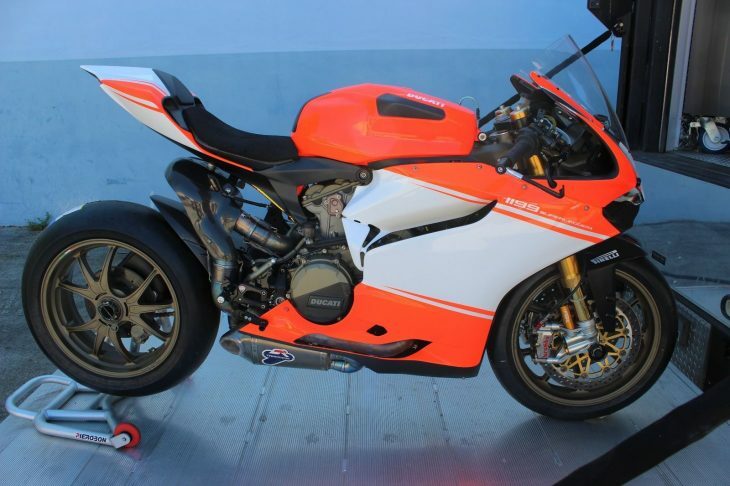 Not for the faint of heart or wallet, this 2014 Ducati 1199 Panigale Superleggera has been fully worked over into a World Superbike-level race package for one very lucky and well-heeled enthusiast. 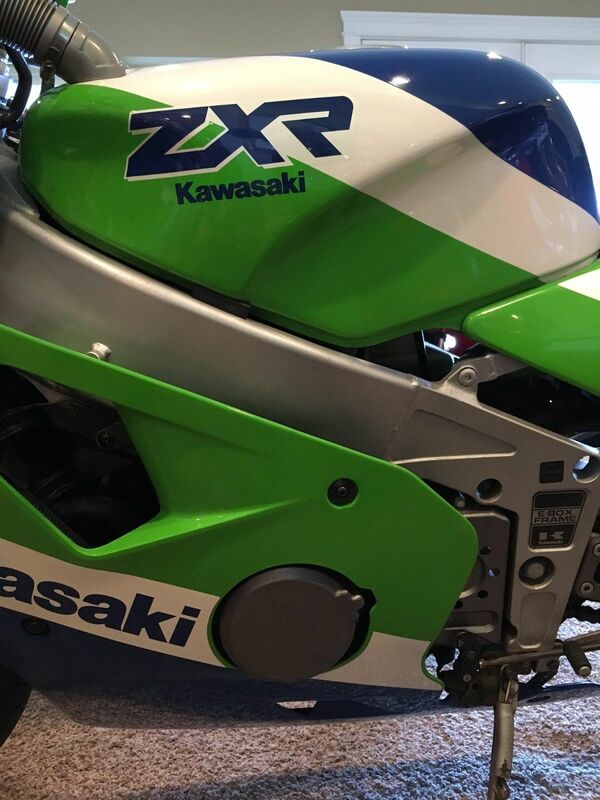 As the ad says, this bike sports a Magnesium monocoque frame that is so light it is illegal for use on a WSBK grid. 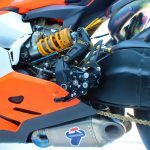 Translation: this bike is too cool even for Chaz Davies. 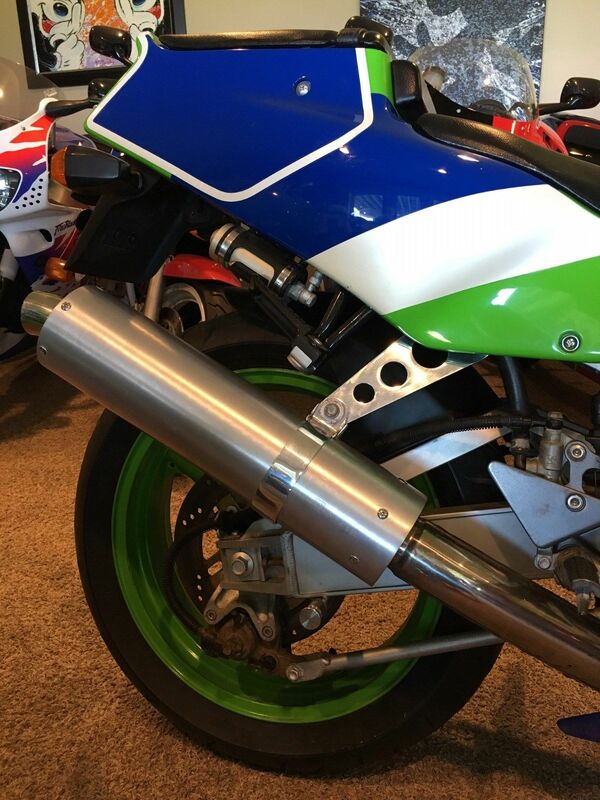 The build kit is as long as War and Peace, but boils down to a few key figures: 209 hp, 346 lb. (wet) and a build cost of more than $220k. That makes the $103k asking price seem a little less steep, doesn't it? 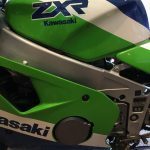 The bike was built last year and developed extensively by Brian Sharp of Boulder Motorsports, Mick Boasman of Bikesport Developments and Pete Friedland. It has won club-level races under Friedland and saw a host of track days last year. 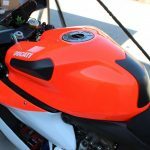 It spent the winter getting freshened up for the '17 season. 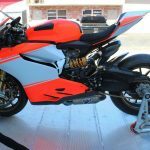 Offered for sale is Superleggera #157 of 500. 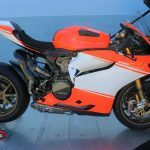 This particular bike is likely the only true magnesium-monocoque Ducati Superleggera built to a Superbike specification. Competition only, not street legal. 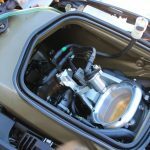 Boulder Motorsports performed the engine build with an open checkbook. The rest of the machine was treated the same way and utilizes the very best of everything. 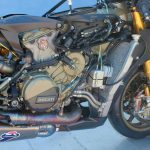 Although ironically illegal for World Superbike rules for being under weight and non-homologated components (Mag frame, etc). 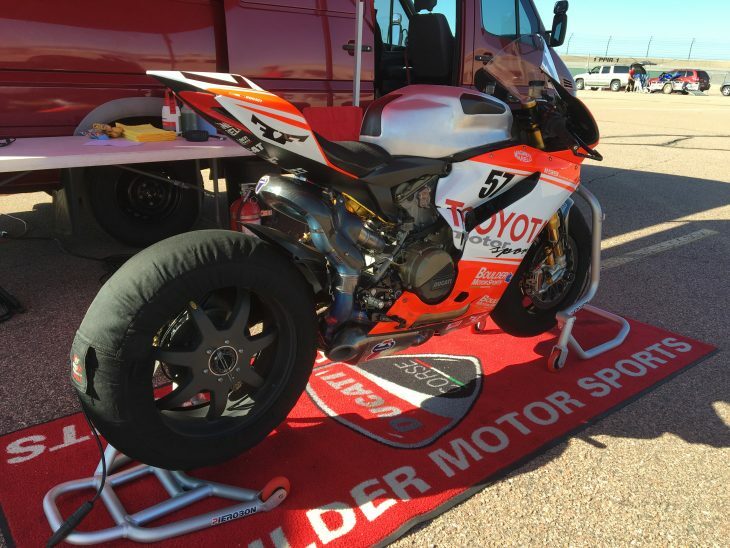 This machine has had countless hours of development time under technical hands of Mick Boasman of Bikesport Developments, Brian Sharp of Boulder Motorsports and Pete Friedland. 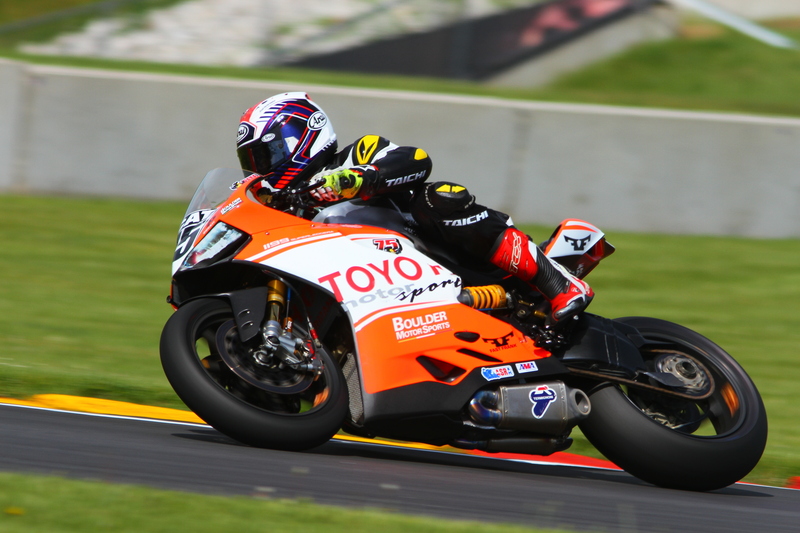 Completed in the early spring of 2016, it was brought to Road America on June 11, taking an easy win in Formula Thunder with Friedland on board.. 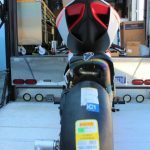 The bike ran at two track days following and at Barber Motorsports Park and Daytona (1 race) in October 2016. 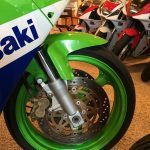 This past winter the bike was gone through and refreshed by Chris Boy & staff at MotoCorse Performance to showroom condition including new paint, tires & services, where it exists now on display. 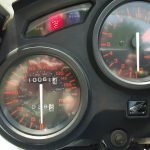 The engine has only 400+ minutes of total run time on it and the entire machine has been gone through to make sure you are getting a gem of a bike with tons of spares and extra parts. 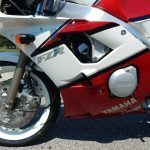 (Run time is logged via Marelli ECU at different levels of RPM for maintenance purposes). 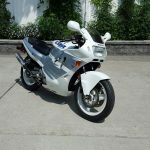 You will not find another Ducati to this level of specification. $220,000+ invested. 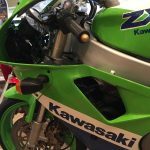 All invoice documentation will be provided to assist you with identifying part numbers and maintaining the machine. Let the details below and pictures tell the story. 209 RWHP & 346 lbs wet. Please contact Pete Friedland at 803-315-8665 if additional questions need to be answered. 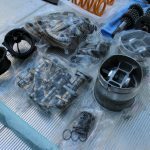 Due to the intricate nature of all parts and components used, this is only a high-level summary. 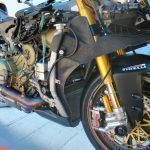 Ti hardware used throughout engine and chassis. 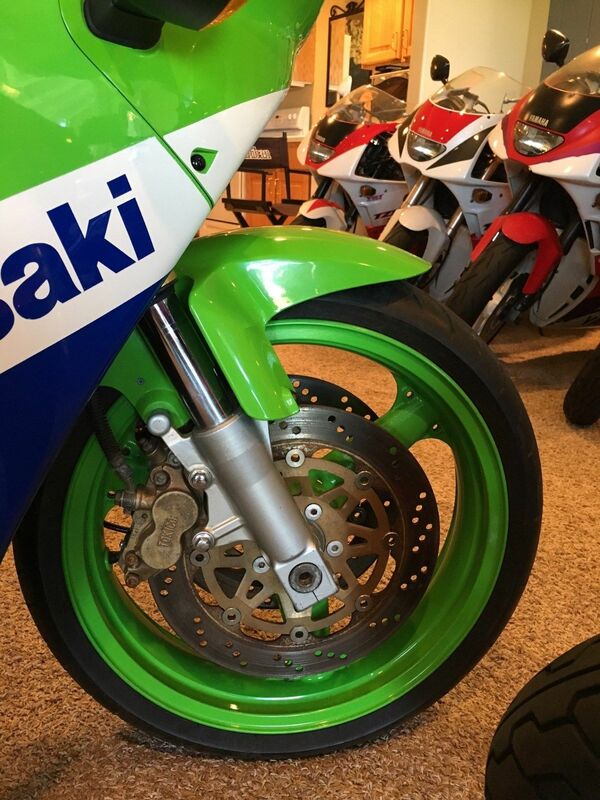 Race proven traction control with your choice of tyre slip maps. 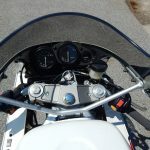 Handlebar mounted TC controls for map level and ‘turn off’. 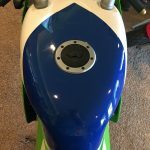 Wheelie controls for each gear and track position. 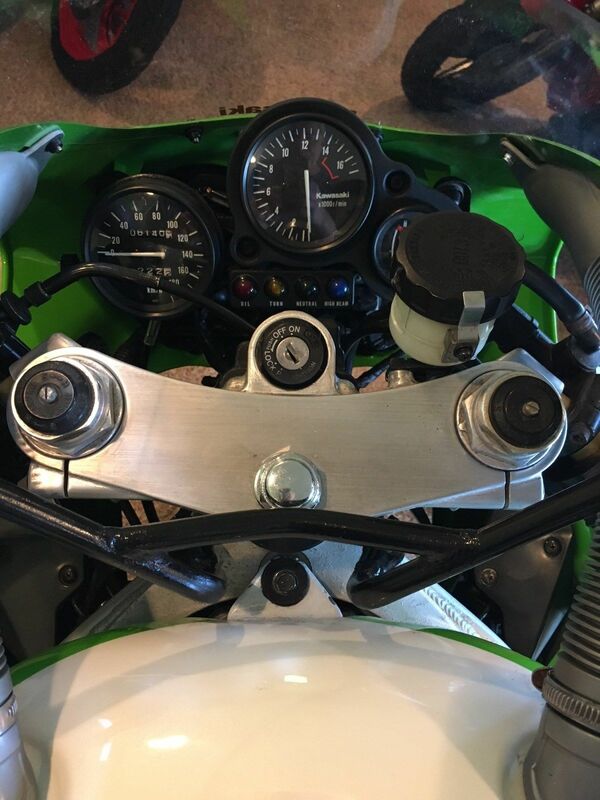 Launch controls coupled with rev limiter and anti-wheelie + rider on/off override via push button. 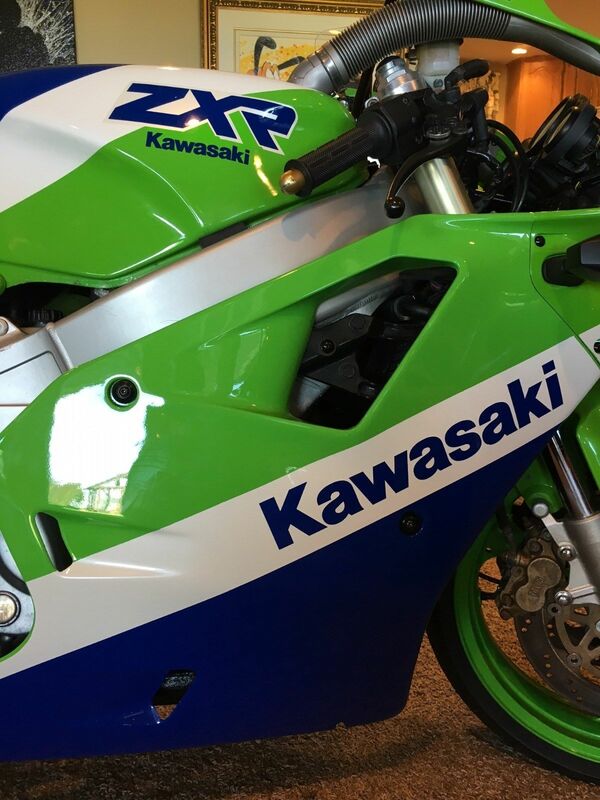 Programmable engine braking controls for seamless cornering as well as ‘closed-loop’ ‘backing-in’ slip controls. Clutchless down shift ‘auto-blipper’ via load cell on the shift rod. 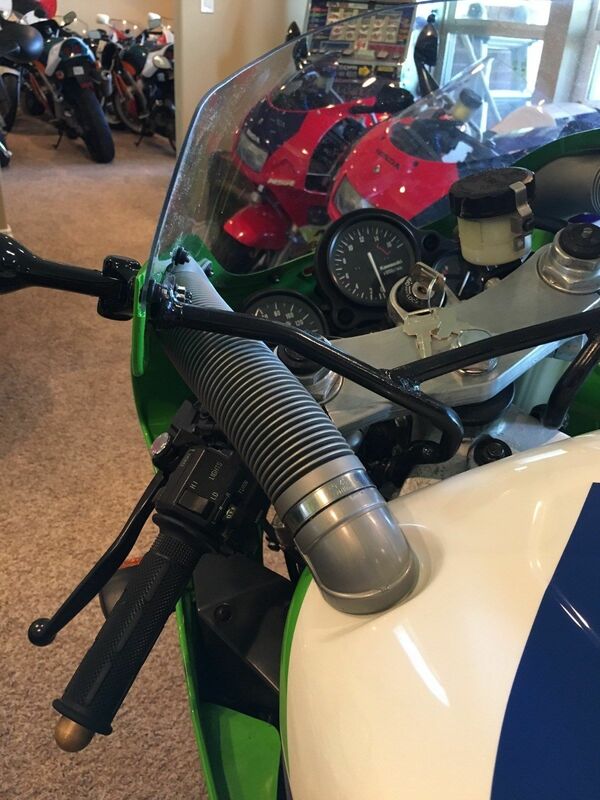 Quick shifter via the same load cell with both cut and ‘post-shift’ torque reduction settings. 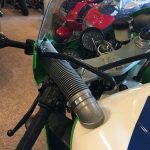 Closed loop fuel control for each cylinder via NGK wide-band lambda sensors in each exhaust. 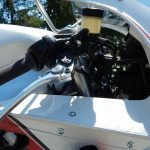 Individual fuel/ignition and throttle controls for each cylinder—all of which have been pre-mapped. 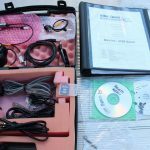 Built-in data logger ready programmed and ready to download. 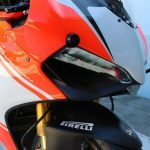 10Hz GPS system for circuit mapping and lap timing. Push button where you want to trigger the lap time display and the location will be remembered for all subsequent sessions at that circuit. 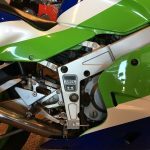 Chassis sensors for Fork Travel, Shock Travel and Braking Pressure. 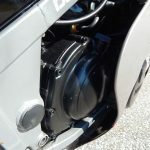 Electric starting is retained as well as ECU control of the starter to inhibit use when in gear or engine is running. 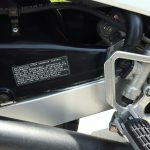 Standard wheel speed pickup sensors are retained front and rear. 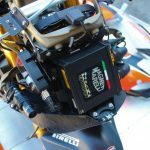 Magnetti Marelli SRT ECU running Bike Sport Licensed software specific to the 1199 Panigale + Integral 64Mb data logger. 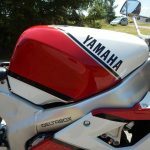 Aluminum ECU mounting bracket - ECU. 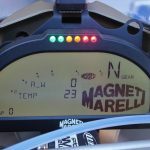 Magnetti Marelli MDU220 multi page digital display. 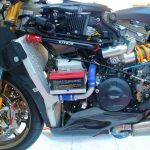 One-piece race specification Raychem wiring loom using type 55 motorsport wire. Gear shift load cell including rod ends and link rod. Inertial sensor and mounting bracket placed in rear subframe. Shock potentiometer (+ carbon mounting brackets needed for prototype shock). 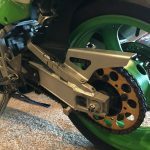 150mm Fork potentiometer and aluminum mounting brackets. 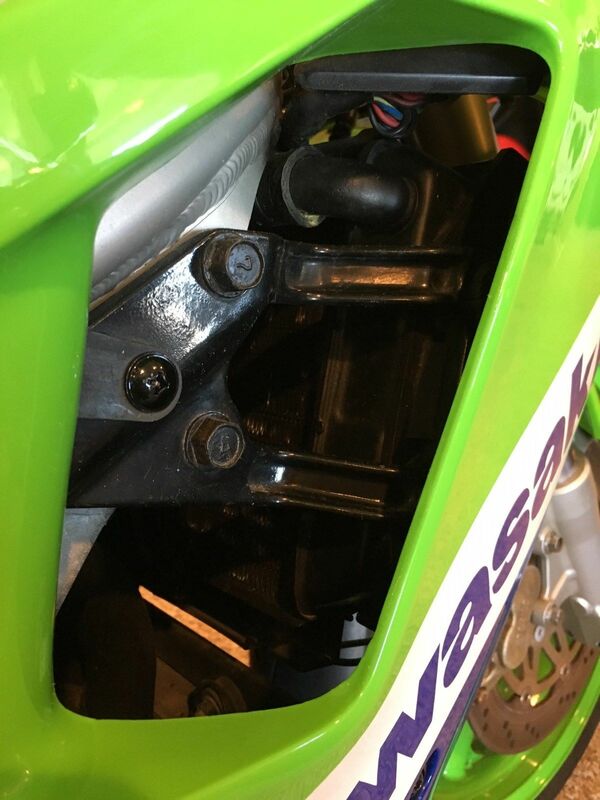 35 Bar Front brake pressure sensor and all mounting brackets. 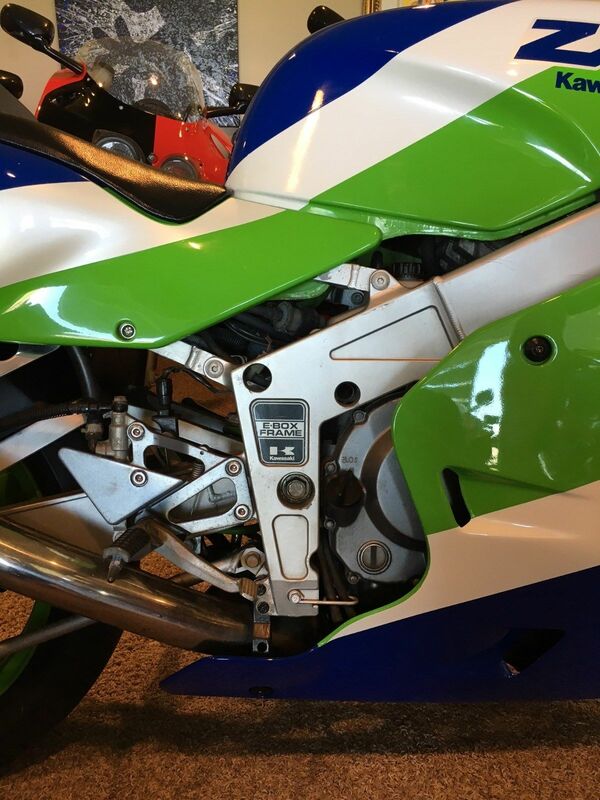 10 Bar Oil pressure sensor option. 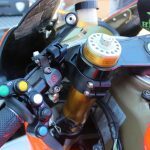 5-way aluminum handlebar switch for TC+, TC-, Anti-Wheelie off/on, Pit lane speed limiter, Lap time marker. 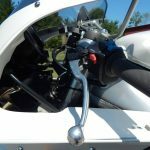 2-way aluminum handlebar switch for Stop/Run and Starter. GPS module and remote antenna. 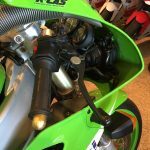 2 wide band NGK UEGO lambda sensors. 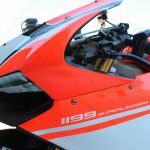 Vision 5 software dedicated to the 1199 installation. 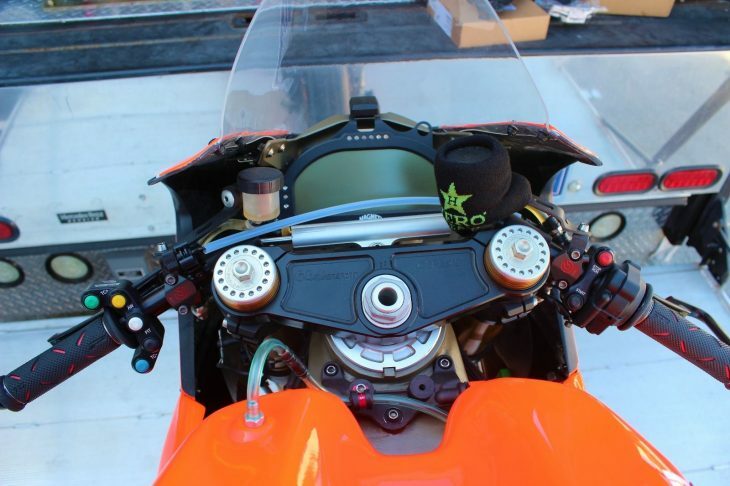 Aim Smarty Cam system w/ HD Bullet Camera mounted in fairing nose. 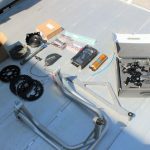 I can assist with helping the arrangement for shipping and have used Forward Air many times. Shipping costs will be the responsibility of the buyer. Please use Fort Lauderdale, FL as the origin shipping point for quotations. Also please reach me at 803-315-8665 for questions. Buy-It-Now is set at $103,000, with six days left on the listing and four people watching the action. 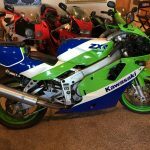 Find out all you need to know at the eBay auction. 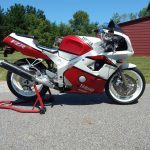 Eric L. didn't even give us the chance to post this gorgeous Yamaha FZR400RR from RSBFS Premier Sponsor Deftone Cycles before he snapped it up. 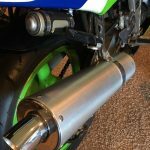 In keeping with our recent flood of 400s, this aluminum Deltabox'd rocket is destined to be the Yin to Eric's Yamaha FZR750's full-bore Yan. 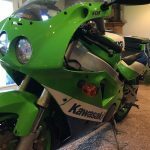 We're humbled that our website has led Eric to four classic sportbike purchases so far, and it looks like more are in the works. 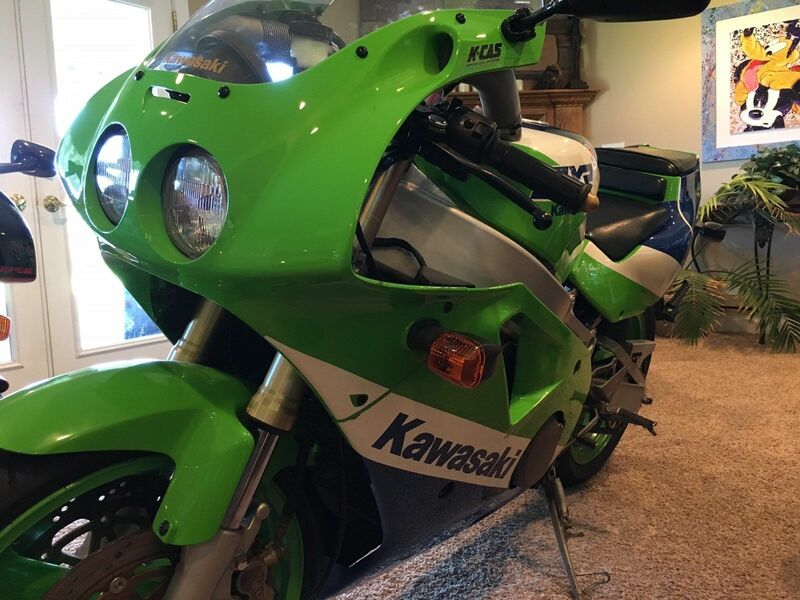 ... To date I've bought 4 motorcycles from ads on your awesome website. 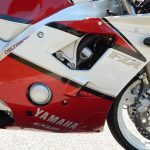 (The four bikes from your website are the Suzuki XN85, Honda VFR400R, Honda CBR250RR and the Yamaha FZR750RU) Your in-depth analysis and unbiased posts help me to clearly understand the motorcycle being presented. 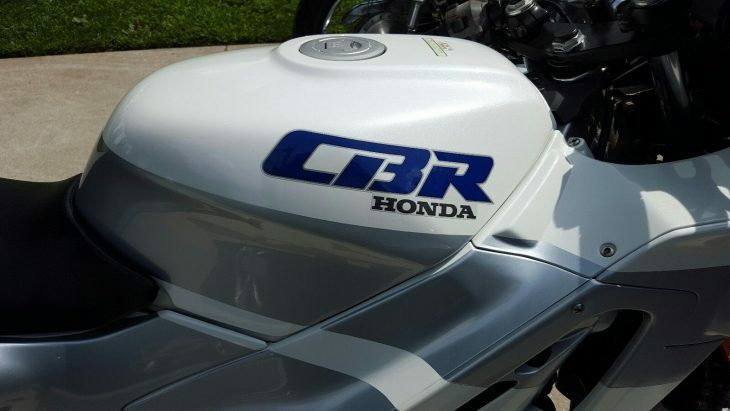 When I purchased the CBR250RR from Greg we immediately struck up a friendship as we both love an appreciate the beauty of these great motorcycles. 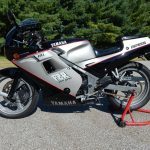 I soon learned that Greg had a connection in Japan and I knew then he was the man to help me build my collection of gray market motorcycles. 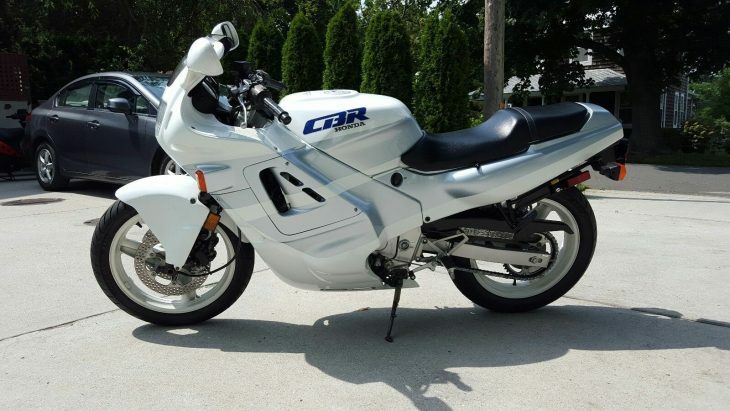 Recently I relayed to Greg my desire for a Honda NSR250... we discussed my budget along with the criteria and I gave Greg a wish-list of the bikes I was interested in.....after only a few days of looking Greg found me a beautiful Honda NCR250 MC18 II (See attached picture). 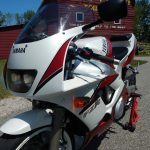 The bike is due to ship from Japan in a few months or so and I couldn't be more pleased with the diligence and expert advice that Greg exhibited throughout the process. 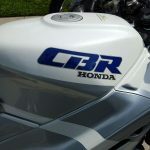 On Monday Greg shared with me his new association with Rare Sport Bikes For Sale as a Premier Sponsor. 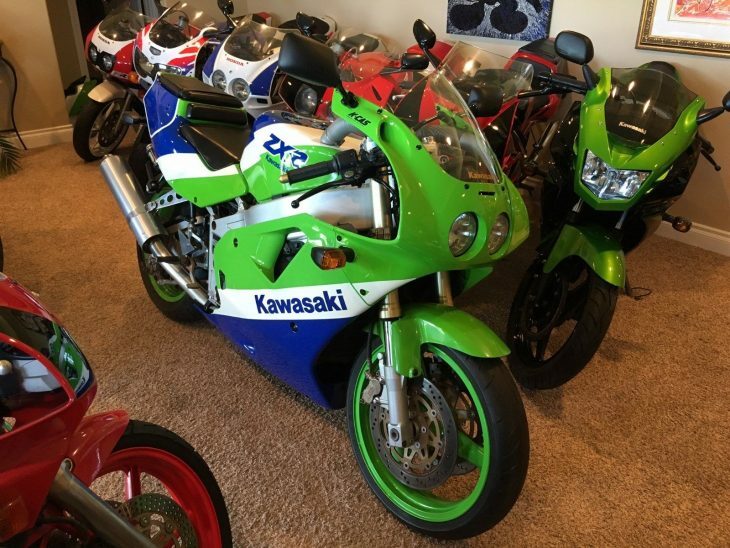 I thought the presentation on the website was perfect and saw that Greg had several bikes for sale and one that interested me. 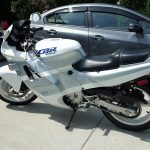 I contacted Greg immediately and within 10 minutes I bought his Yamaha FZR400RR...which will be the perfect addition to my collection and a companion for my FZR750RU. 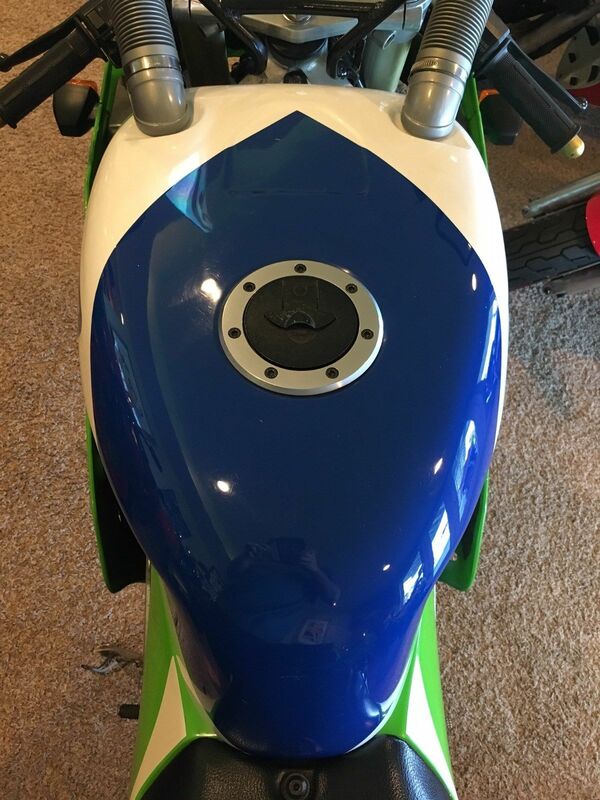 I'm so very pleased with everything that Greg has done for me and am looking forward to more moto purchases from him in the future. 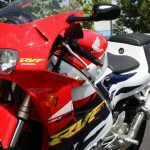 Anyone reading this and who has a desire for acquiring beautiful motorcycles should not hesitate contacting Greg at Deftone Cycles. Please use any part of or all of this email on your website. Thanks for the props, Eric! 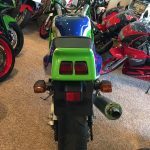 Featured Listing: 1989 Kawasaki ZXR400H1 with 3,815 Miles! 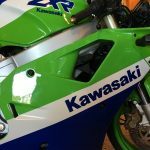 In the pantheon of 400cc sportbikes, a lightweight, rev-happy segment of rippers designed to help aspiring knee draggers stay within foreign tiered-licensing guidelines, the Kawasaki ZXR400 stood out as a hard-edged race replica writ small. 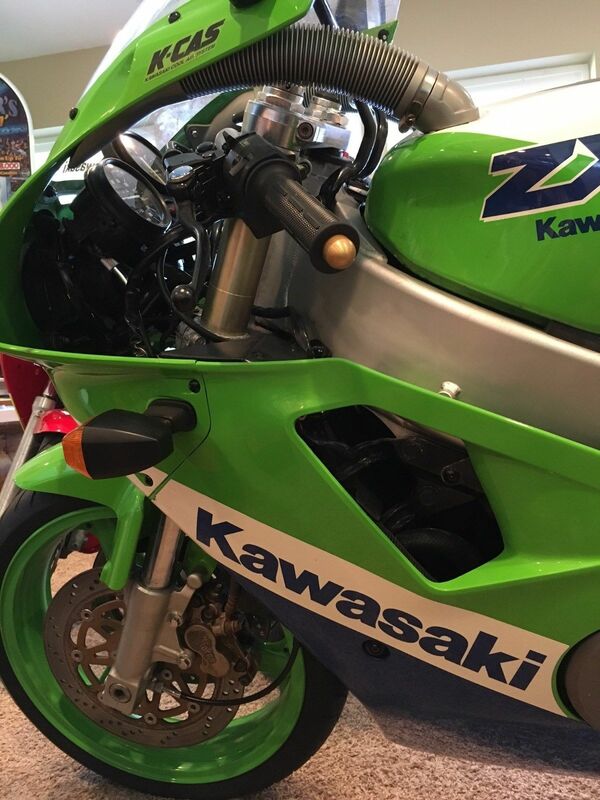 The baby brother of the world-class ZX-7 superbike, the ZXR400 turned its tiny displacement and diminutive weight into an advantage. 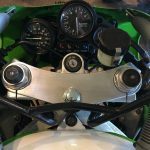 With 61 horses on tap for the '89 model year and a sub-400-pound dry weight, the mini Kawi was quick to make fools of detractors. 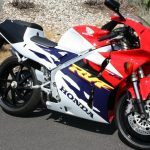 Though capable of the big end of 140 mph, the engine needed revs to make power, and the bike rewarded momentum and bravery with sharp high-speed handling. 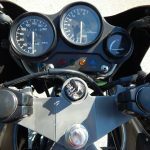 Reviewers at the time remarked that the precise handling was paid for with a cramped riding position and a harsh ride, but nobody seriously shopping for a 400 should expect the lap of luxury. 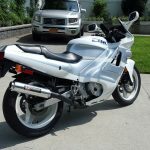 The low-mileage example listed here is in excellent shape and will make a beautiful rider, though it carries blemishes commensurate with its years. 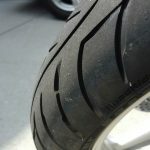 Tires, too, look like they could use freshening. Bidding is currently below $2,000, but the reserve remains unmet, and if the 1995 example from earlier this month is anything to go on, the winning bid will be well north of the current ask. The baby brother to the Kawasaki ZX-7 ZX750H1! 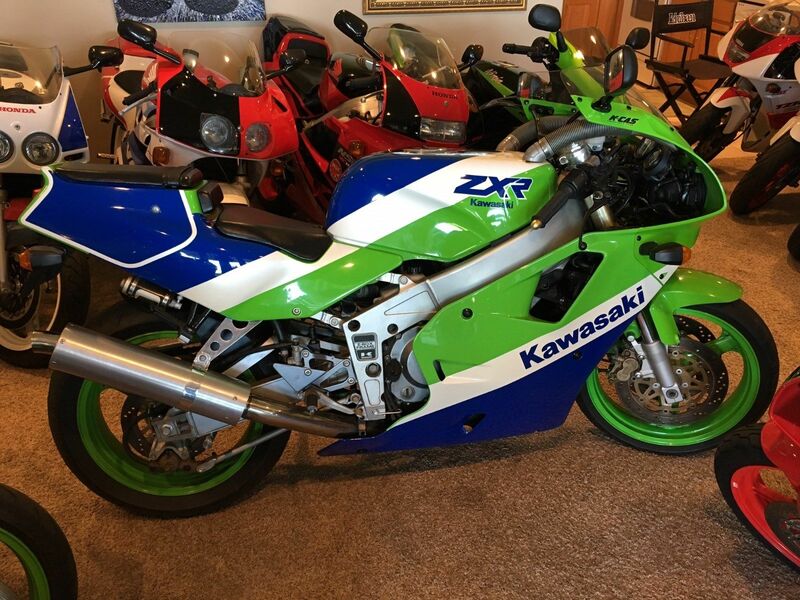 Up for auction is a rarely seen 1989 Kawasaki ZXR400 with only 6,140 kilometers (3815 miles). Its 100% stock. 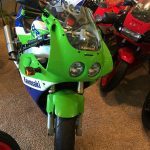 OEM Kawasaki fairings and components in very nice condition. 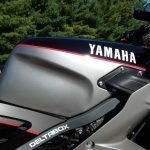 The right lower fairing has been professionally resprayed because of light stress cracks (spider webbing) in the clear coat from age. 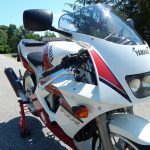 Bike has light handling marks & scratches throughout from its 28 year ride thru life but overall very clean. 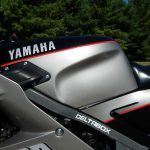 No cracks in the fairings, no dents in the tank. Its been very well taken care of. 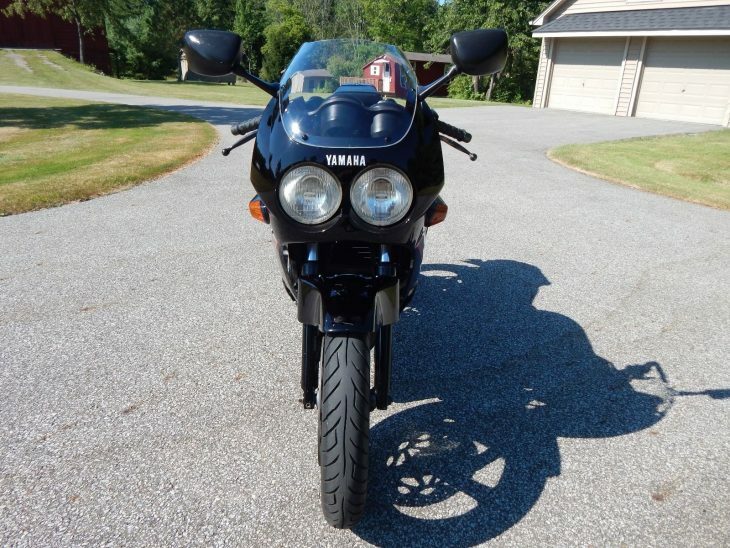 Bike shows patina and light corrosion here and there from time but has very good curb appeal. 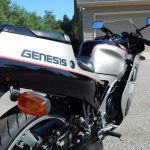 This bike would make an excellent candidate for a full restoration. 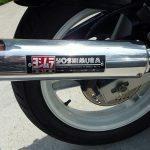 Bike comes with Utah state title and is titled as a street motorcycle for road use. 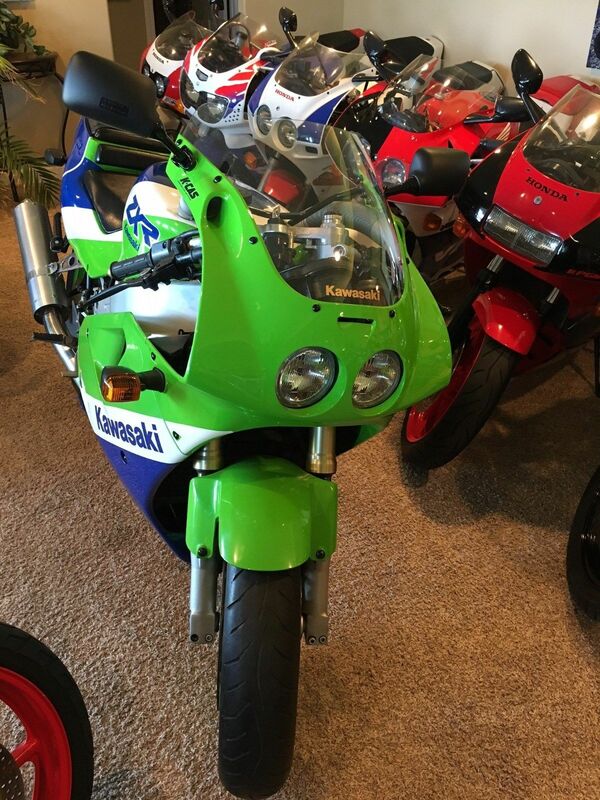 Even though this bike might not be museum quality, it will make a gorgeous rider in any collection. 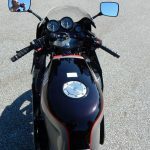 $500 deposit due immediately after auctions end. 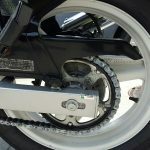 Bike to be paid in full within 5 business days by check or wire transfer. For more pictures or questions please text me at 801-358-6537. 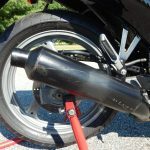 While the weight and 14,500 rpm redline might not be super impressive when compared to current sportbike offerings, the ZXR occupies an important chapter of motorcycling history, and is rare enough in this country to stop bike-night enthusiasts in their tracks and embarrass bigger-displacement bikes under less seasoned riders.